The intertwined rings in Sterling silver represent the inseparable bonds of two lovers. 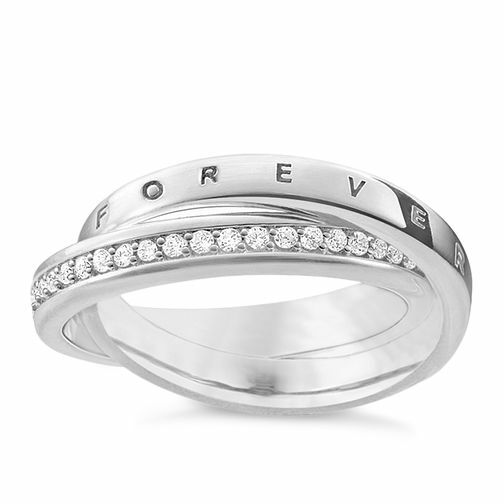 The engraving 'Forever Together / Together Forever' on one of the rings strengthens its symbolic power. The other ring sparkles with white zirconia pavé.